So the whole first week at the new job has passed and it's Monday again. 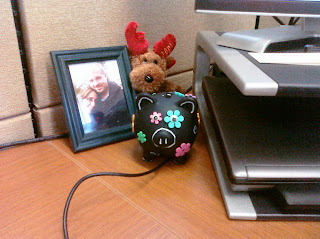 I've had a few things sitting on my desk at home cluttering it up as I normally have them on my desk at work. So today I decided to bring them in to their new home. 465/365 - Visit From The Uniques!